This beautiful studio is our secret treasure. With a view that will quite literally take your breath away, modern boutique fittings, exposed brick work, a Bali inspired bathroom, all the technology comforts you might need...this is our hidden gem. 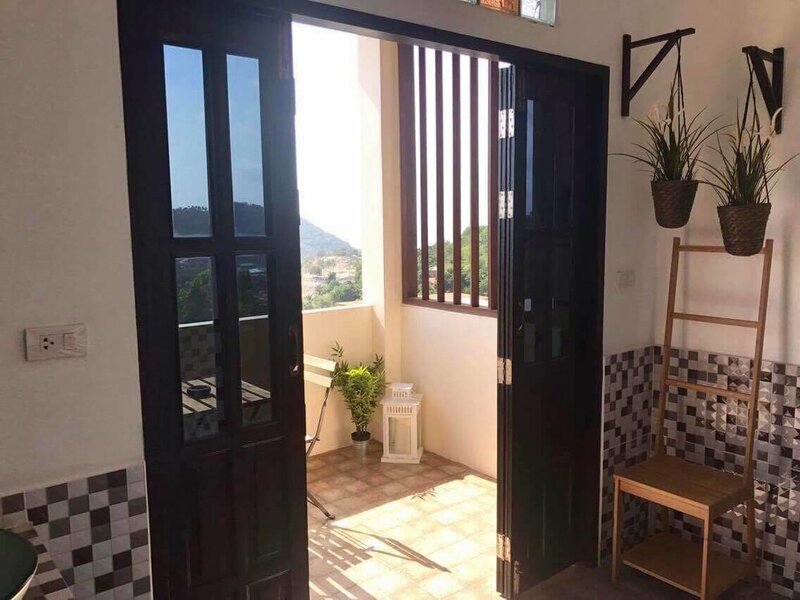 40 square meters in total this One Bedroom Studio has been built open plan to take advantage of the incredible sea breeze and stunning view that never lets you forget where you are! There is no pool access with the Serenity Studio, unless you count the sea! Did we mention the view??? With a table and chairs for two, bespoke wooden side panels made for privacy, this will be your favourite spot to watch the sun go down over the sea. Full of light with both Sunrise and Sunset Sea views, this space is built for comfort. Double Bed, Mini Bar, Flat Screen Cable TV, Wifi, and a fully equipped Kitchenette with everything you might need at hand. After a full day out in the Koh Tao sunshine this is a wonderful little retreat to relax in. Ever wanted to shower with complete privacy yet with an open view of the sea? Welcome to our Bali inspired wet room. Hot water, luxury toiletries, hair dryer, fluffy towels and yet surrounded by bamboo, plant life and your own private unobstructed sea view. Guest Access: POP Villas is a very large villa split into three separate units all with separate entrances, you will not be sharing your space with any other guests. The Sanctuary Studio does not have pool access.